On a number of occasions we have reported on the critical role of cities in dealing with climate change. After all, currently over 50% of all people live in urban areas, and by 2050 it will be about 70%. While “urban areas” include cities, they sometimes can be defined to include suburban areas. In any case, most people will be living in and/or around cities, and minimizing or eliminating climate change impacts for these people will be critical and hopefully economically efficient. Dealing with climate change impacts for a large population in a concentrated space is much easier than dealing with the same size population spread over dispersed geographic areas. A major challenge is how any such efforts can be paid for. Even wealthy cities in developed economies are strapped for financial resources to fund existing public services, let alone major new and often expensive climate mitigation and adaptation measures. Obviously less wealthy cities will struggle even more. 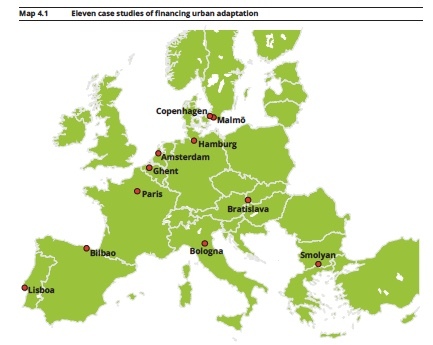 To address this challenge the European Environment Agency (EEA) has recently published a study on Financing urban adaptation to climate change, a descriptive although not so catchy title. The study itself does offer clear and engaging suggestions and critical case studies. The Report provides a combination of adaptation measures that are being implemented throughout the European Union (EU) and how such measures are and can be financed. The adaptation measures include those designed to cope with extreme weather events such as heavy rainfall, heat waves, droughts, and sea level rise. Others require transforming the way cities are built or organised, as with new building codes incorporating energy efficiency, water retention or harvesting, or green roofs. Many require long-term planning for infrastructure that will be built now with current money and that are intended to prevent climate impacts that will not occur for decades. This last example is particularly troubling for public officials and politicians, whose careers are measured by what benefits they can provide constituents now. Examples of common adaptation measures that are being successfully implemented include green roofs and green spaces and parks that can absorb heat and water, and add to the quality of life of cities. An obvious action is the inspection, detection and maintenance of water systems that reduce water leakage. 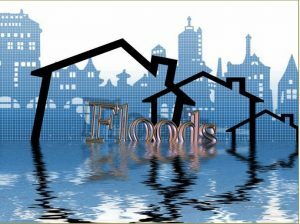 Elevating buildings and/or electrical and sewage facilities within buildings, or implementing stormwater and rainwater retention infrastructure are other examples. Some measures include urban farms and green facades for cooling and growing products; others include extending or building on already existing protections, such as raising sea walls. Cities are planting as many trees as possible to ease the heat island affect and provide relief against air pollutants. Most of these measures are well known and in some places widely developed, but in other areas they have not been seriously considered. The problem often is that as well known as they are, they also can be expensive. The EEA Report discusses various financing arrangements that have been successfully applied to these adaptation measures. Clearly the easiest, although often limited, source of funding is existing government programs. For instance, the EU has dedicated 20% of all expenditures in its Multiannual Financial Framework (2014-2020) for climate change action, both for mitigation and adaptation. For developing countries there has been the promise of funds under the UN global climate talks from developed countries for adaptation, but that is becoming an elusive promise. There are various existing government funds, at the national, regional and local levels, that can be applied to adaptation measures, even without labeling them as climate related. Besides public funds, there are often banks and private investors that can loan money or structure bonds for the development of particular adaptation measures. For such investments, of course, it is necessary to choose a project that produces a revenue for repaying the loans. Perhaps a project to significantly reduce water leakage can pay dividends through savings on water charges. Private philanthropies, or even crowdfunding, can provide seed money to cover high start up costs for projects that can eventually pay their own way. Or a real estate developer might work with local authorities to add water retention or green roofs because they can be paid back through lower maintenance costs or increased sales. One of the values of the EEA Report is that it comes back time and again to the need for outreach and education. As with the development of skills to identify and exploit funding sources, there is a critical need to educate the public, obviously about the reality and risks of climate change but also about the need for adaptation, as well as mitigation, and the ancillary benefits of many adaptation measures. Besides saving us from the direct impacts from climate change these measures can save substantial health care costs (e.g., by reducing air and other pollution), increase property values (and tax bases), and provide a better quality of life (with green spaces and parks). The more people believe in these adaptation steps, the larger the public support and possible crowdfunding. The EEA Report provides 11 case studies where various adaptation measures have been successfully implemented with a range of funding mechanisms. Case studies are particularly useful since they are in effect stories that are typically accessible to a wide range of people, not just technocrats or experts. They allow people who want to take action, as in preparing for climate change impacts, to imagine or even indirectly experience what those actions would be like as implemented, and how they might be paid for. Seeing the actions of others unfold makes them more real, more possible. We will cover several case studies to provide a sense of what can be learned from all eleven case studies. In Bilbao, Spain, the city decided to convert an industrial area into residential use along a canal. The land in the area was owned by a variety of individuals as well as the Bilbao City Council, the regional Basque government and the Port Authority. All the land owners formed a public-private Commission to handle the redevelopment, and to protect against floods and sea-level rise. The City paid for opening the canal and for flood protection, including rehabilitating the riverbank and stormwater tanks. The Basque government paid for a new bridge across the canal, and the public-private partnership paid for elevating the ground level of the buildings and creating public green spaces. Thus the money came from the city and regional budgets and private owners. Presumably the long-term value of all the properties was significantly enhanced by the adaptation work. 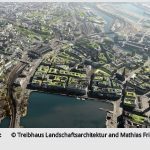 Hamburg provided public funding for subsidies to private owners to install 100 hectares of green roofs in the metropolitan area. The city determined that this project was cheaper than extending the sewerage infrastructure to cope with an expected increase in stormwater in the future because of climate change. Building owners received a 30-60% subsidy if they installed a green roof before 2020. After 2020, green roofs would be mandatory. One stubborn obstacle was convincing people of the benefits of green roofs for water retention during heavy storm events. In Lisbon the water company developed a monitoring and detection program to locate leakages in water pipelines. The water company received loans at favourable rates and reduced “non-revenue water” (that lost by leakages) from 23.5% to 8.5% between 2005 and 2015. In Copenhagen, after a disastrous flood in 2011, the city determined that further flooding would best be minimized by a combination of grey and green measures, including retention areas and natural drainage. Such an approach was funded by water charges. In Ghent, a crowdfunding platform allowed citizens to propose and finance ideas for addressing climate change adaptation. Two projects were jump started by crowdfunding and then completed with city subsidies. They were urban farming for residents of a social housing quarter, and “edible streets,” where the facades along certain streets were covered with planters. One of the key findings is that while cities are strapped for money, they also need to replace old infrastructure, including sewer and water systems, public buildings, and transport, regardless of climate change impacts. Those public assets have to be paid for under any circumstances and integrating climate adaptation requirements into the replacement will likely be less costly than building adaptation measures independent of infrastructure replacement.